This week, the defence called its first witness in the trial of Bartolo Hernandez. 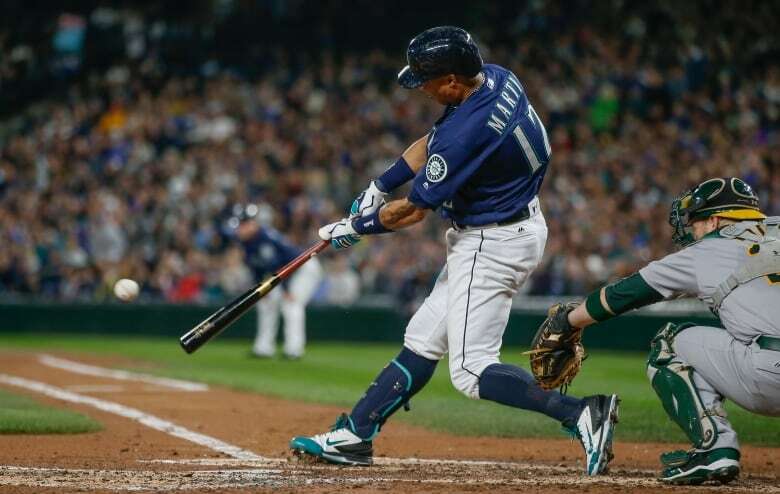 The sports agent is accused of masterminding a human-trafficking scheme that smuggled more than 20 high-value baseball players from Cuba to the U.S., including Seattle Mariners outfielder Leonys Martin. Martin's lawyer, Paul Minoff, says Martin was treated like a prisoner, forced to sign a contract handing over 35-per-cent of his future salary, and feared for his life throughout the journey. 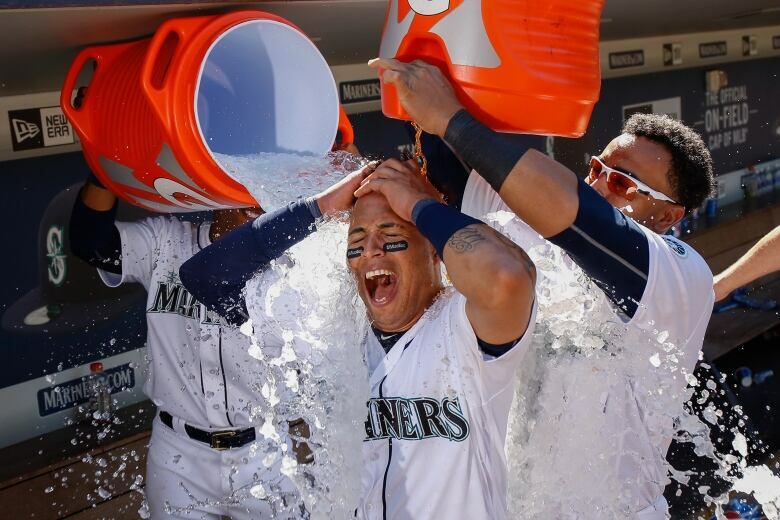 On Thursday, Seattle Mariners centre fielder Leonys Martin went 0 for 4 with two strikeouts. By his usual standards, it was a pretty bad day at the plate. But Martin likely has other things his mind. 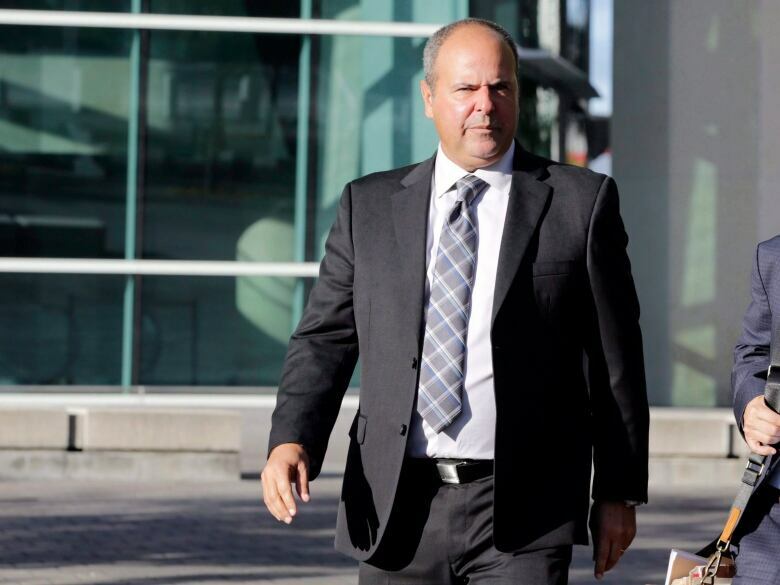 This week, the defence called its first witness in the trial of sports agent Bartolo Hernandez and baseball trainer Julio Estrada, who are charged with conspiracy and human-trafficking. The pair are accused of smuggling as many as 20 Cuban baseball players into the United States. Hernandez is Martin's former agent and allegedly played an important role in getting him out of Cuba and onto the roster of a Major League Baseball team. That should have been a happy move for Martin. But as his lawyer Paul Minoff tells Day 6 host Brent Bambury, the smugglers didn't just get Martin across the border. They also held him against his will, made threats against his family and forced him to sign over millions in future earnings. "When he first got to Mexico, he was told that he belongs to his smugglers and if he wanted to leave, he'd have to pay 2.5 million dollars. So right away, the fear set in," Minoff says. On February 21, Martin testified that his safety had been at risk. "My life was in danger in Mexico," he said. Hernandez and Estrada's lawyers maintain that the two men were not operating a smuggling ring, and insist their business dealings are legitimate. The trial started in Miami federal court on February 1. 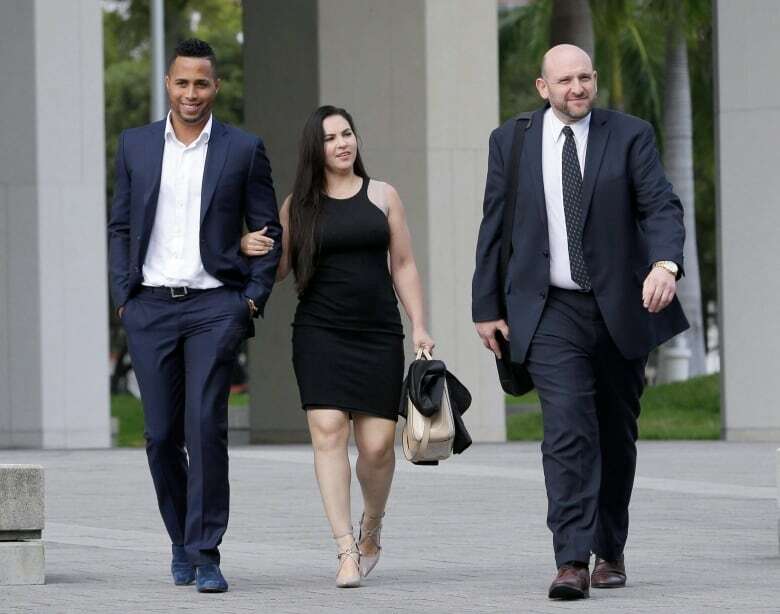 Other Major Leaguers who have testified include Adeiny Hechavarria of the Miami Marlins and Chicago White Sox all-star first baseman Jose Abreu, who testified that he ate his passport while en route to the U.S. 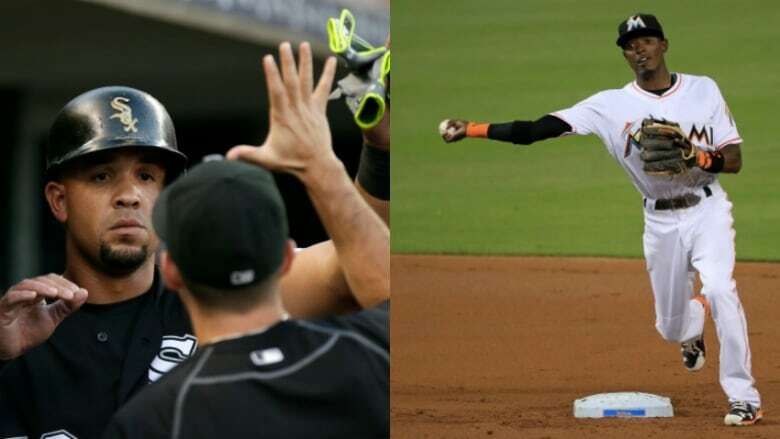 According to their testimony, Abreu, Hechavarria and Martin shared a similar path out of Cuba. Martin says he met smugglers Eliezer Lazo and Joel Martinez Hernandez at a port in Cuba in 2010, boarded a speedboat and set off for Cancun, Mexico. Cuban players must establish residency in a third country in order to sign lucrative free agent contracts with Major League Baseball in the U.S. If the smugglers had taken Martin the roughly 180 kilometres to the coast of Florida, he would have had to enter the baseball draft, which would have meant a substantially smaller salary and a smaller cut for his smugglers. According to Minoff, the men who were supposedly helping Martin treated him like a kidnapping victim and moved him from one dangerous location to another. "The guys who were watching him, or keeping him in Mexico, had weapons," Minoff says. "Not only was there fear within the environment he was in, which was established very early, there was extreme fear and uncertainty from the outside as to what might happen." Minoff says that fear played out during a break-in during Martin's first few weeks in Mexico. "There was an attempted kidnapping where he and his family were staying," Minoff says. "At least eight individuals broke into their small apartment and said they had guns." In his testimony, Martin said the armed men also had a crowbar and demanded that he go with them. Martin refused, and the men eventually left. Shortly after, Martin was sent to Monterrey, Mexico, and his family was sent to Miami. "The people were looking for us, so we had to put some distance between them and us," Martin testified. According to ​Minoff, the kidnapping attempts continued even when Martin reached Monterrey. "At one point, there was even an attempted kidnapping of the individual that was keeping him there," Minoff says. After the second kidnapping attempt, Martin wanted to abandon the plan. But he stayed put out of concern for his loved ones. "There was always uncertainty about what was going to happen to him while he was in Mexico, and what might happen to his family while they were in Miami." But as Minoff points out, even if Martin had decided to leave, he wouldn't have had many options. "How does a Cuban national in Mexico just get up and leave?" Minoff asks. "Is he sent back to Cuba? And how's he treated if he makes it back? What happens to his family if he decides it's time to walk away?" According to Minoff, Martin had no choice but to do whatever he was told. In April 2011, after seven months of waiting in Mexico for the deal to come through, Martin's Mexican residency papers and Major League Baseball contract were ready. "Somebody walked in and introduced himself as a lawyer. He handed him [Martin] a document and told him to sign it," Minoff says. "When you're in a foreign land with your family thousands of miles away, you do whatever they tell you." The deal was $15.5 million over five years with the Texas Rangers. Martin signed the contract, but he also committed to pay Hernandez five per cent of his deal — with at least another 30 per cent going to the alleged smugglers. According to his testimony, Martin crossed into the U.S. near Laredo, Texas shortly after signing the papers. He didn't have a visa, but at the time of his arrival, Cubans who reached U.S. soil were generally allowed to remain in the country under a policy that has since been revoked by former President Barack Obama. 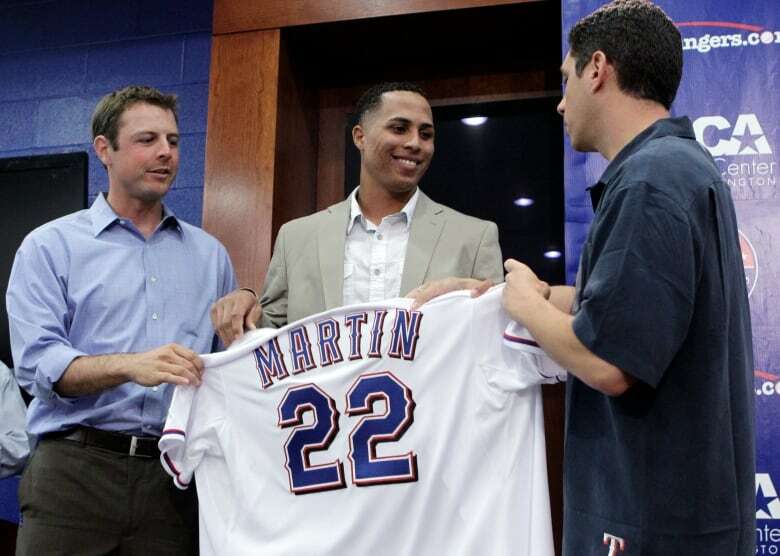 Martin, who turned 29 years old on Monday, played 429 games over five years with the Rangers. He was traded to the Seattle Mariners in November 2015. In his testimony, he told the Miami court he paid Hernandez and his smugglers the full amount for a year but then he stopped. "I paid them a whole lot more than what they had done for me," Martin testified. After the money lapsed, Estrellas del Beisbol — the company with whom Martin signed his contract while in Mexico — filed a lawsuit against him, claiming he had violated the deal. Now, Martin is counter-suing the company for extortion. His counter-suit claims that he was held captive until he got the multi-million-dollar deal and they got their cut. Two men involved in Estrellas del Beisbol are already serving out sentences in the United States. Eliezer Lazo is currently is serving a 63-month sentence at Adams County Correctional Center in Mississippi for Medicare fraud and money laundering. Martinez Hernandez is two and a half years into a seven-year sentence for the same crimes. Bartolo Hernandez and Julio Estrada face lengthy prison sentences if convicted. The trial is expected to wrap up in the next week. On March 7, two executives with the Texas Rangers testified that they never discussed bringing players to the U.S. from Cuba illegally with agent Bartolo Hernandez. The outcome of this trial could have a wide-ranging impact on Major League Baseball, and could force the league and players' association to act on an issue they've been avoiding, Minoff says. "As far as I know, neither entity has come out and made an official statement. I don't even know if there's an official investigation into the continued practice of Cuban baseball players leaving Cuba," he says. "Maybe, because he's a certified players' agent, maybe that will force their hand," he says. To hear Brent Bambury's conversation with Paul Minoff, download our podcast or click the 'Listen' button at the top of this page.